Most college students need coffee–like actually need it– in order to survive a long day of classes and exams. The dark, crushed–up beans, which have a high caffeine concentration, turned generation Y into a coffee reliant group. The Tampa area has plenty of unique coffee shops that are the ultimate place for students to study, meet with friends and most importantly, drink some coffee. Mojo Books and Records is a coffee shop that’s easy on college students’ budgets, but provides quality coffee and food. They stand by their “powdered mix free” policy, meaning they avoid using shortcuts like powdered mixtures in their coffee. Owner Melanie Cade stated baristas recieve hours of training before ever serving a drink. Mojo’s owner Melanie Cade discussed some drinks made in her coffee shop. “We’re happy to make you our rendition of your favorite chain coffee drink, only it’ll be made with fresh, locally roasted espresso, rBST-free (a growth hormone given to cows) milk, and higher quality flavors, some of which we make in house,” Cade said. Mojo’s menu ranges from sweet milkshakes and butterbeer lattes to coffee shop standards, and include artisanal, hand-brewed coffee (pour-over, Chemex, Aeropress, French press). Also, the entire food menu is vegetarian, all of the baked goods are made vegan, and most drinks can be made vegan upon request. 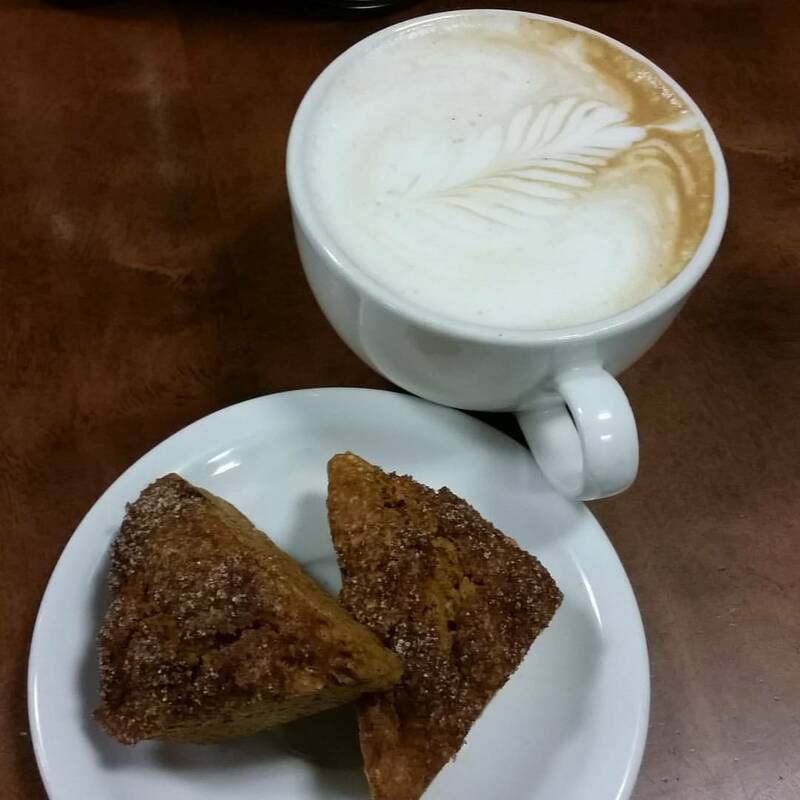 Like the name suggests, Mojo’s offers more than just coffee. Another local Tampa coffee shop, Jet City Espresso, opened its first store in the early ‘90s and had three locations until 1999, when they opened up another more shop. Now located in Hyde Park and Seminole Heights, Jet City Espresso has been providing high quality caffiene since before Starbucks even came to the state of Florida. The owner Jessica Glover takes great pride in her coffee shop. “My shops are cozy with free wifi for students and customers. It feels good to be in that environment and not a sterile, cold stone new-age kinda place,” Glover said. Glover’s favorite menu item is the Cafe Borgia.“The Cafe Borgia is a latte infused with an orange essence honey and topped with homemade whipped cream, orange zest and nutmeg,” Glover said. Between these two coffee shops, The University of Tampa Students have options to go to original venues to study at, or just grab a delicious beverage. Mojo and Jet City are also only two examples in the vast selection of great coffee stops in the Tampa area. Be sure to do some extra exploring of your own if you’re looking to broaden your caffeine horizons. Alexa Turkovich can be reached at alexa.turkovich@spartans.ut.edu.